It’s hot. I don’t remember Brisbane ever being this hot. It’s one of these days where you avoid on going outdoor and hope that you have air conditioning. Elizabeth and Charlotte had spent the day with Mick at his work playing around so it was a wonderful treat for them when I picked them up and took them down to the pool for a refreshing swim. 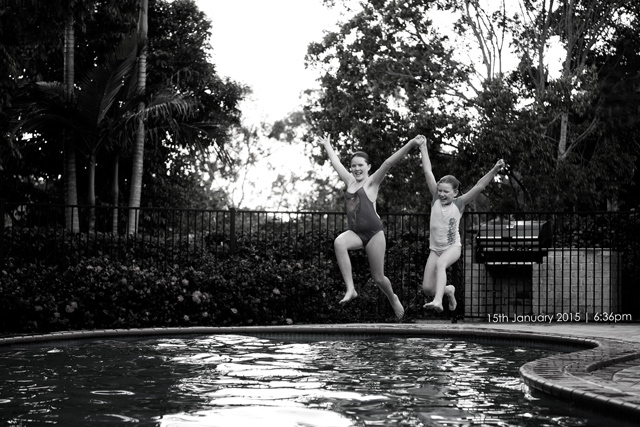 This is what summer is all about – hot days, water and lots of fun and laughter.